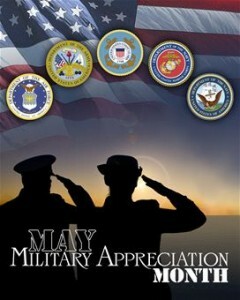 On March 29, 1973, President Richard Nixon welcomed home the last of the combat military members from the Vietnam War. 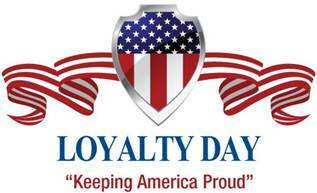 In honor of that day, we now celebrate their return and the sacrifices our soldiers made to serve our nation proudly overseas. 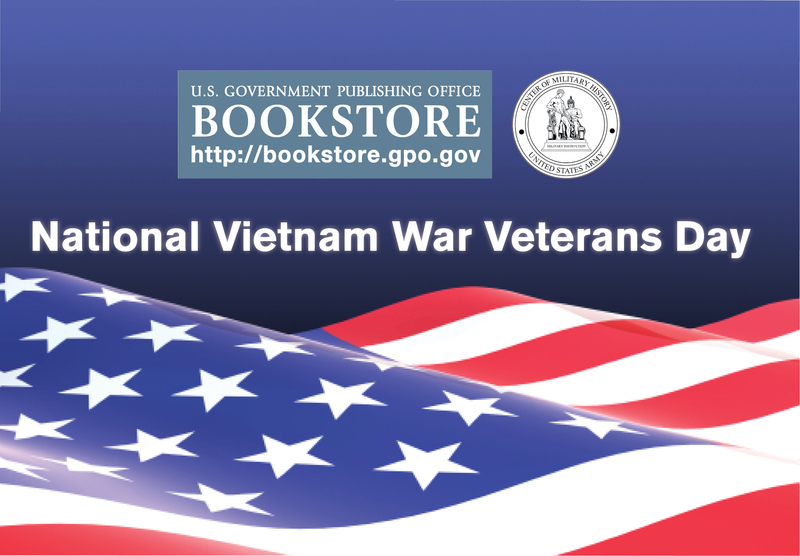 The U.S. Government Publishing Office (GPO) offers access to the Vietnam War Veterans Recognition Act of 2017, which designated March 29 as Vietnam War Veterans Recognition Day, through the Catalog of U.S. Government Publications (CGP). GPO’s govinfo offers the original Presidential Proclamation for Vietnam Veterans Day in 1974. As well as several other items from Congressional Records during the period. The Vietnam War era saw the American citizens sick of decades of foreign wars, and who blamed the soldiers who fought them upon their return. 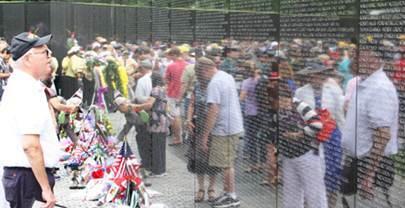 Because of this unfavorable environment, the Vietnam War Veterans waited decades for their sacrifices to be formally recognized. More than 2.7 million Americans served in uniform in Vietnam, with more than 58,000 of those service members killed during the war. The Tet Offensive played an important role in weakening U.S. public support for the war in Vietnam. In January of 1968, during the lunar new year (or “Tet”) holiday, North Vietnamese and communist Viet Cong forces launched a coordinated attack against a number of targets in South Vietnam. The U.S. and South Vietnamese militaries sustained heavy losses before finally repelling the communist assault. This was widely considered the final straw in an already unpopular American war, and led to the withdrawal of all American forces a few years later. GPO has printed several publications throughout the years that illustrate the intricacies of this contested war. Combat Operations: Staying the Course, October 1967-December 1968 describes the twelve-month period when the Viet Cong and their North Vietnamese allies embarked on a new and more aggressive strategy that shook the foundations of South Vietnam and forced the United States to reevaluate its military calculations in Southeast Asia. Hanoi’s general offensive-general uprising brought the war to South Vietnam’s cities for the first time and disrupted the allied pacification program that was just beginning to take hold in some rural areas formerly controlled by the Communists. For the enemy, however, those achievements came at a staggering cost in manpower and material; more importantly, the Tet offensive failed to cripple the South Vietnamese government or convince the United States to abandon its ally. As the dust settled from the Viet Cong attacks, President Lyndon B. Johnson ordered his military commanders to press ahead with their current strategy unchanged apart from some short-term tactical adjustments and a modest increase in the U.S. troop deployment. His decision to stay the course seemed to bear fruit as the allies repaired their losses and then forged new gains throughout the summer and autumn of 1968. Even so, the allied situation at the end of this period appeared to be only marginally better than it had been in late 1967; the peace talks in Paris had stalled, and American public opinion had turned decisively against the war. 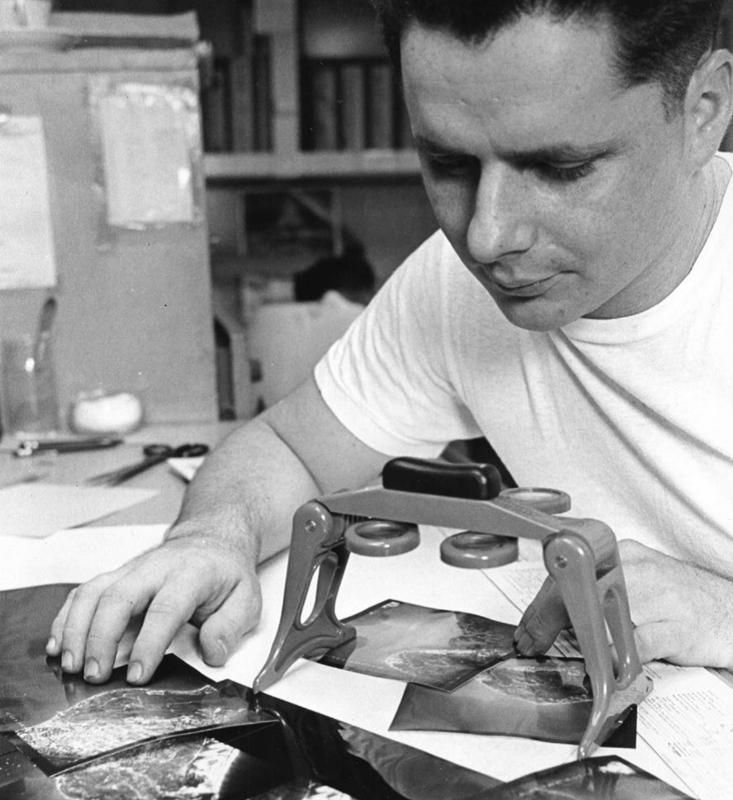 Melvin Laird and the Foundation of the Post-Vietnam Military, 1969-1973 . Melvin Laird became President Richard Nixon’s secretary of defense in January 1969. His challenging agenda included two goals: withdrawing the U.S. military from Vietnam and reshaping U.S. the armed forces for the future. He worked toward ending the inequitable draft system and replacing it with an all-volunteer force of regulars supported by National Guard and Reserve components. Laird’s tenure was also marked by battles with Congress and the administration over the defense budget and the antiballistic military system as well as efforts to strengthen alliances with NATO, East Asian allies, and Israel. Advice and Support: The Final Years, 1965-1973 . 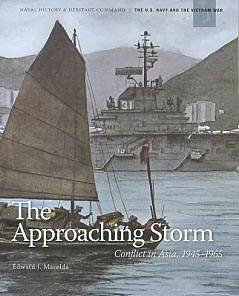 In Advice and Support: The Final Years, 1965-1973, Jeffrey J. Clarke describes the U.S. Army advisory effort to the South Vietnamese armed forces during the period when the U.S. commitment in Southeast Asia was at its peak. 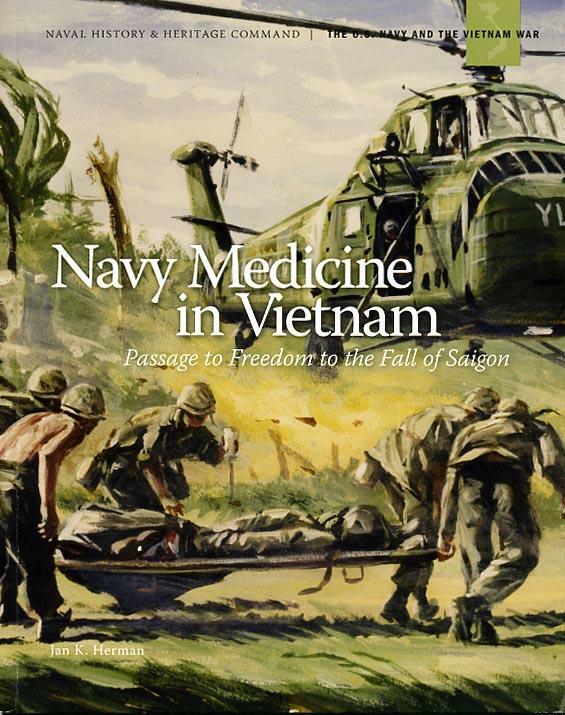 The account encompasses a broad spectrum of activities at several levels, from the physically demanding work of the battalion advisers on the ground to the more sophisticated undertakings of senior military officers at the highest echelons of the American military assistance command in Saigon. U.S. Army Campaigns of the Vietnam War: Taking the Offensive, October 1966-September 1967 . Taking the Offensive, October 1966–September 1967, by Glenn F. Williams, begins with a discussion of Operation ATTLEBORO in Tay Ninh Province. 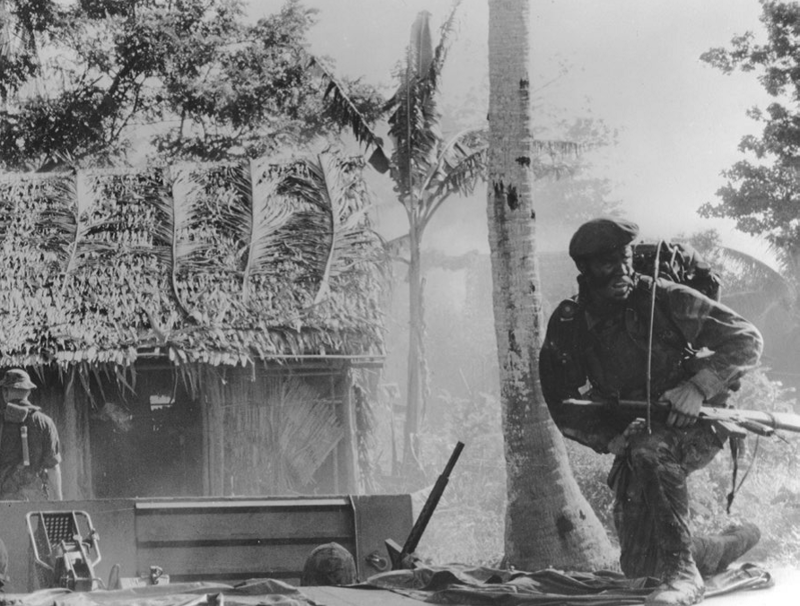 The largest allied operation to date in the war, ATTLEBORO forced the 9th PLAF Division to abandon its attack on Suoi Da Special Forces camp and cost over 1,000 enemy lives. Additional action in War Zone C, including Operations CEDAR FALLS, JUNCTION CITY, and JUNCTION CITY II, highlight the U.S. Army effort to disrupt the network of camps and supply stores of the North Vietnamese main force units through ground and air assault. Operations in Binh Dinh Province — THAYER I, THAYER II, PERSHING, and LEJUNE — continued to inflict heavy losses on the enemy. The efforts of the U.S. Army throughout Vietnam during this time allowed for growing political stability in South Vietnam leading up to the 3 September 1967 election. This pamphlet contains twelve maps and fifteen illustrations. Interrogation: World War II, Vietnam, and Iraq is an absolutely fascinating read. 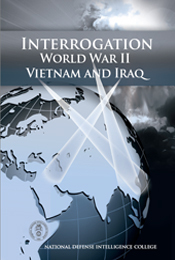 This book from the National Defense Intelligence College takes both an historical and policy-oriented view of prisoner of war interrogations in three wars. The World War II section examines the Army’s use of Japanese Americans – Nisei – as interrogators in the Pacific, along with incisive discussions of why Japanese soldiers seldom were taken prisoners, why a relatively high percentage of such POWs cooperated with their interrogators, and why they furnished such a significant amount of intelligence to their captors (the Japanese military hierarchy assumed that their men would not become prisoners and so did not indoctrinate them about the importance of not giving up information if they were.) This part of the book also analyzes the strengths and weaknesses of the Army and Navy Japanese language training provided during the war. The Vietnam section focuses on profiles of the most able interrogators in World War II (the wonderfully named R.W. G. “Tin Eye” Stephens for the British and Hans Scharff for the Germans) and a number of successful American officers during the Vietnam conflict. Throughout the book, the authors make the point that linguistic ability, a deep understanding of the captives’ culture and worldview, and a perception that torture or other violent methods were useless in soliciting information of value are the hallmarks of a successful interrogator of prisoners. This part of the book also describes these individuals’ occasional conflicts with the military bureaucracy, such as Sedgwick Tourison’s experience in reporting more information about the Tonkin Gulf incident than his superiors wanted to hear. The final section, on Iraq, focuses on policy issues – specifically, whether Army doctrine should permit Special Operations personnel to interrogate prisoners. Again, real-world examples from personal experience provide a study that is both gripping and insightful. Interrogation: World War II, Vietnam, and Iraq is a thoughtful and provocative analysis of what any army confronts in war – the need to gather intelligence from prisoners, the most effective way to do that, and the ineffectiveness of “harsh methods” in delivering useful information. You can read the book here or get a copy from GPO here. To find it in a library, search here.